Have you noticed pools of standing water, damp spots, humidity, or mold in your basement? There are many ways for water to infiltrate a basement space and create problems for your home. As an esteemed Basement Systems contractor with many years of experience, Foundation Support Systems of Wyoming can provide a permanent solution to your basement waterproofing needs. Foundation Support Systems of Wyoming is a known and trusted basement contractor serving Cheyenne, Casper, Laramie and areas nearby. Education is one of our top priorities, both for our customers and for our employees. We will never keep you in the dark about your basement's needs, and we regularly attend industry training events to ensure we can offer the best solutions. Worried that your basement might have a water problem? Contact Foundation Support Systems of Wyoming today to schedule a free estimate! 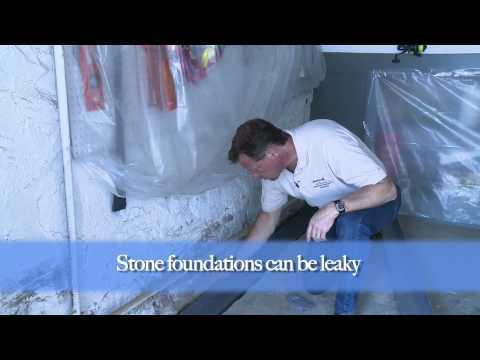 Foundation Support Systems of Wyoming fixes leaky basements in Wyoming, in areas like Sheridan, Rock Springs, Laramie, Evanston, Riverton, Jackson, Green River and neighboring towns and cities. Contact us today for a free wet basement repair estimate.